Many of life’s most important journeys, from starting a family to relocating to a new city and transitioning into retirement, often involve buying or selling a home. Helping clients make the best real-estate decision, at every stage of life, has come to define Dorothy’s real estate career over the past 30 years. For Dorothy, knowledge is power, and key to making informed decisions and avoiding a lot of the unnecessary anxiety often associated with real-estate transactions. Raising her family in West Vancouver, being active in the community, and viewing listed properties, first-hand, is the foundation for Dorothy’s exceptional market knowledge, and critical to giving her clients an important negotiating advantage. Defined by integrity, honesty, a passion for people, Dorothy’s empathetic nature helps her clients successfully navigate one of the most important decisions of their lives. A commitment to service that began with her first love – nursing. Today, her passion for real estate is not only evident in her long success as a realtor, but shines through her dedication and joy in mentoring a new generation of the MINT Home Team business family. Having worked with Dorothy Walter for several years now, my family and I have been treated to the highest level of professionalism and excellence that any real estate team could offer. After viewing a number of properties and considering many different options, Dorothy has worked tirelessly while maintaining a great amount of patience as we’ve narrowed our focus. Demonstrative of Dorothy’s talents, she and her team were able to generate so much interest in my property that we received three offers in one day, and ultimately sold for well over our asking price! Not only was it a quick, profitable sale, but Dorothy made every step of it easy. With the market being as tricky to navigate as it is, having an expert who can assist is crucial. Dorothy is that expert. She clearly enjoys and has a passion for her work, which translates into this sort of outstanding result. 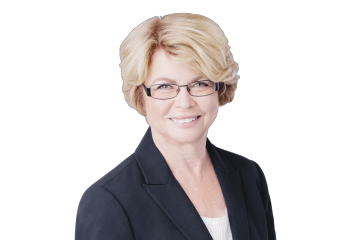 With this high-quality representation, Dorothy has helped to significantly reduce the anxiety which comes with both selling and purchasing a home. Choices are made easier with an expert guiding the process, ultimately helping find what becomes the perfect home. Exceeding expectations is what Dorothy and her team are about, and anybody who has the chance to work with them will most certainly come to the same conclusion. Since meeting Dorothy we’ve not once considered anybody else to represent us in both the sale and purchase of our homes. It is also without hesitation that I recommend Dorothy and the team to my friends and colleagues, knowing they, too, will be in excellent hands. Thank you so much, Dorothy – what a pleasure it is working with you!